Krimml/Hochkrimml, National Park Community next to Krimml Waterfalls. The hospitable mountain village at the foot of Krimml Waterfalls. The Upper Pinzgau community of Krimml, with a population of around 850, lies at 1,067m above sea level at the foot of the Gerlos Pass, in the heart of Hohe Tauern National Park Holiday Region as well as the Zillertal Arena. Krimml is famous far beyond Austria's borders as the home of the tallest waterfalls in Europe, dropping a total of 380m. An impressive natural attraction which draws over 350,000 visitors every year. The Upper Pinzgau community of Krimml, with a population of around 850, lies at 1,067m above sea level at the foot of the Gerlos Pass, in the heart of Hohe Tauern National Park Holiday Region and the Zillertal Arena. Krimml is famous far beyond Austria's borders as the home of the tallest waterfalls in Europe, dropping a total of 380m. 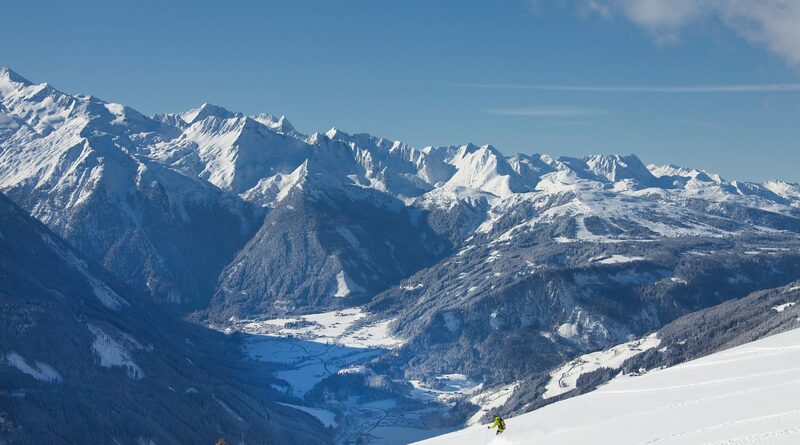 In winter, Krimml/Hochkrimml allows an easy step into the "Zillertal Arena's" 143km of magical ski slopes and winter hiking routes. This hospitable mountain village lies at the end of the Salzach Valley and is the only community in SalzburgerLand that also borders on Italy. Even from far away, you can already hear the thundering of the powerful torrents of water, plunging over the Krimml Waterfalls into the valley below. An impressive natural spectacle, drawing over 350,000 visitors annually. Time spent next to Krimml Waterfalls has also been proven to be especially healthy. 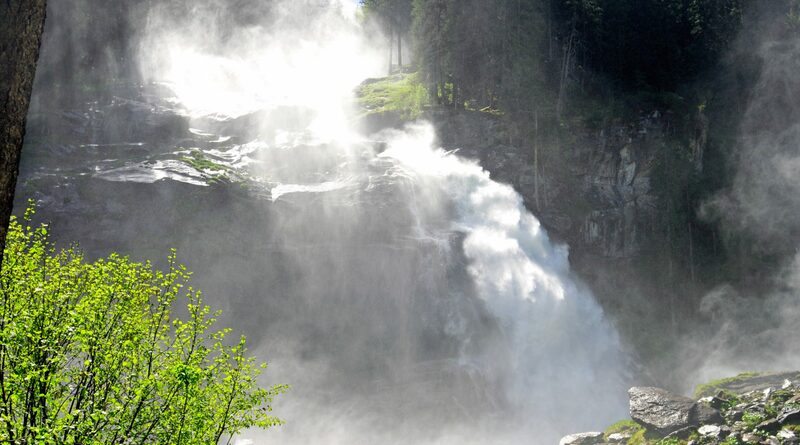 In fact, the healing powers of Krimml Waterfalls have been known for over 200 years. A scientific study confirms that being next to Krimml Waterfalls results in long-lasting functional, symptomatic and immunological improvements in asthma symptoms. 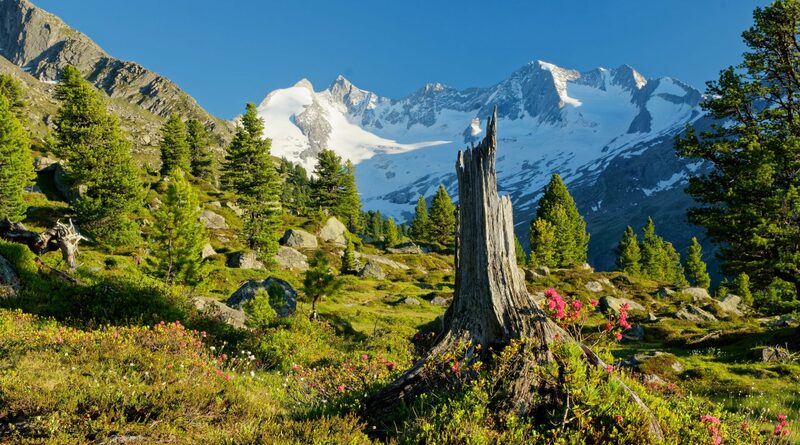 In Krimml, the Waterfall Village, and the imposing mountain world of the Hohe Tauern and Zillertal Alps, you can also relax wonderfully as you go hiking, mountaineering, cycling and mountain biking. For extended bike rides to Zell am See, the trains of the Pinzgauer Lokalbahn line provide comfortable return transportation, both for biker and bike. One culinary tip for hikers is a visit to the Jaidbachalm in the Krimmler Achental. This rustic hut is nestled deep within a wild, romantic high valley in the midst of the National Park, with the hosts treating hungry hikers and bikers to mouthwatering homemade cheeses, bread and butter. In winter, Krimml/Hochkrimml is famous above all for the boundless skiing freedom it offers amid this magnificent mountain world, providing a great gateway to the skiing world of the “Zillertal Arena”, with 143 magical kilometers of pistes, glorious cross-country trails as well as winter hiking paths. Between Krimml, Hochkrimml and Königsleiten, you can also use the free ski bus with your valid ski pass – which means, at the end of a full day of skiing, nothing stands in the way of your après-ski enjoyment and the party atmosphere of local ski huts. 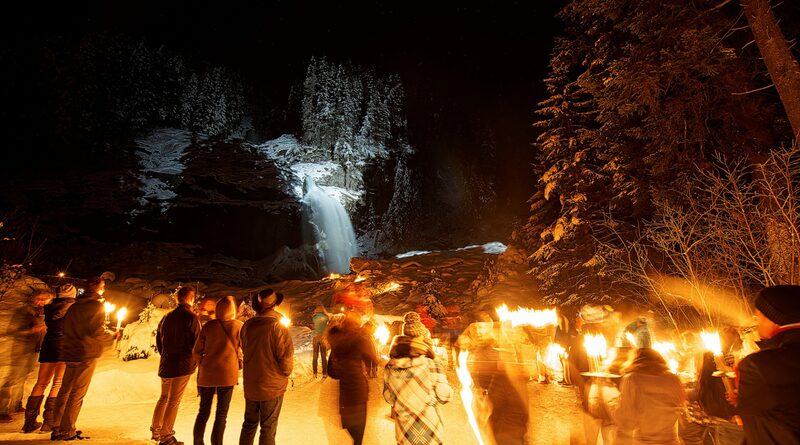 During an evening winter hike to the illuminated and completely iced-over Krimml Waterfalls, this natural wonder shows itself at its most impressive. Nothing could be more fun than a sledding expedition to the Krimml Natural Sled Run at the Schönmoosalm, next to the Gerlos Alpine Road. 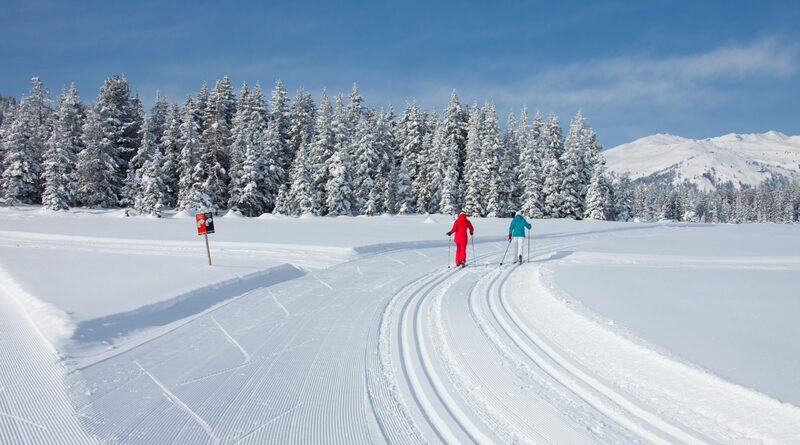 Ski tourers and snowshoers can set out from Krimml on sporting tours into the Krimmler Achental valley, while cross-country skiers will also find an 8 km-long XC trail there, too.